Everyone Afraid To Be Forgotten? Swedish singer of viral project iamamiwhoami releases debut album as ionnalee. Are Pop Stars finally growing up? Pumpkin Spice everything season is here Christmas is coming...in September?. As a pop Music lover, I’ve observed a lot of changes in the music industry over the last 10 years. Amongst the rise of stars like Lady Gaga and Justin Bieber there have been some interesting things going on in the Underground music world too - enter Jonna Lee, aka iamamiwhoami, aka ionnalee. Jonna Lee started her music career back in 2007, releasing her album 10 Pieces, 10 Bruises, followed by This Is Jonna Lee in early 2009 and clearly wasn’t happy with the results, because shortly after she embarked upon an ambitious and mysterious audiovisual project, named iamamiwhoami, which caught the attention of music fans in late 2009. Maybe you remember it? Speculation was rife that the person behind the videos could be Christina Aguilera, Lady Gaga or more likely an artist like Karin Dreijer of Swedish electronic band The Knife. Jonna Lee was eventually identified as the mysterious female singer, depicted in the videos in various incarnations, from being a plastic wrapped wraith in B; to a seasoned piece of meat in N (Katy Perry recently used similar imagery in her video for Bon Appetit). The video releases eventually spelt the word BOUNTY and became part of an audiovisual album of the same name (available on Spotify). 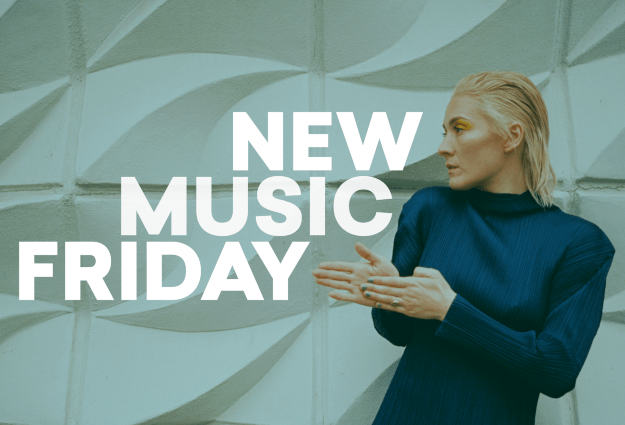 Other artists have been paying attention to Jonna's creative endeavours; Beyonce has now released two audiovisual albums of her own that appear at least a little bit inspired by the methods of iamamiwhoami. After such a heavy workload, what would Jonna do next? Another iamamiwhoiami audiovisual project? A "music film" as it turns out, this time bravely stepping out from the detached word of iamamiwhoami to one where she could express more personal, direct themes. Enter ionnalee, which takes the "i" from iamamiwhoami and joins it with Jonna's real name. It also happens to be how Jonna is pronounced in Swedish - I-onna. Confused? You'll eventually get used to it! Starting with the release of Samaritan in 2017, singing about how artists are treated as deities one minute then crucified the next, things looked exciting. Jonna or rather Ionna was back! This release was followed by the disco-tinged Not Human, in which Jonna appears as a she-wolf like creature for the video. and eventually an announcement of the album plus film to be released February 2018. Fast forward to now...and the album and film were released on February 16. And so far everyone seems to be ignoring it - maybe that title was a self-fulfilling prophecy? I’m not sure why because it’s a stellar album, higher quality than the work most popstars churn out in the modern music world, with inventive, quirky and catchy songs on one hand and more emotional and tender songs on the other. There are catchier tracks include the pounding Harvest featuring TR/ST, as well as Temple where Jonna gets a bit feisty exclaiming “these b*****s make me ill and I do not bargain with self love”. One can only imagine what current celebrities she might be singing about. Then there's Gone which looks at an artist's desire for their work to be remembered when they are long gone. It remains to be seen yet what legacy Jonna Lee will leave with her works, but I would say traces have started to emerge: Beyoncé has already taken notice, and others will surely follow. Don't sleep on this album, it’s one worthy of being remembered if only for it’s ambitious nature of merging current themes, inventive and catchy songs and a mysterious dream-like music film. Listen to Everyone Afraid To Be Forgotten on Spotify.